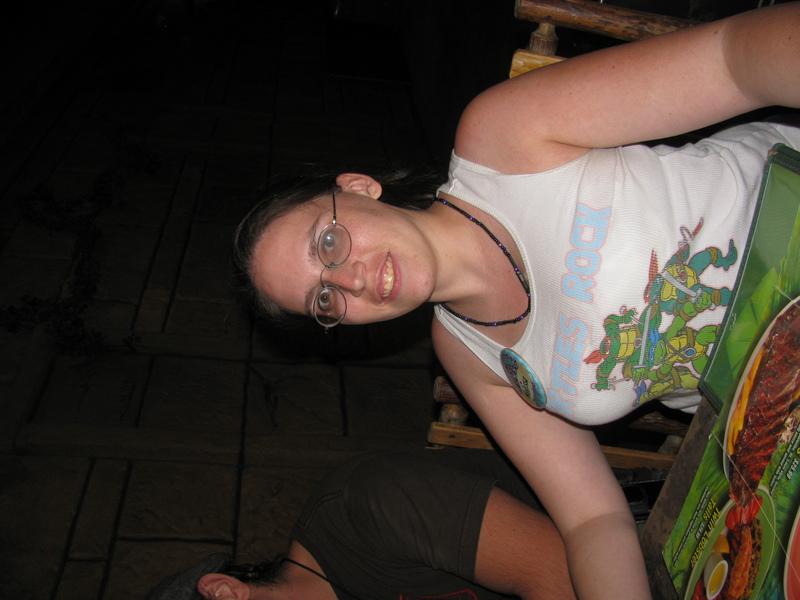 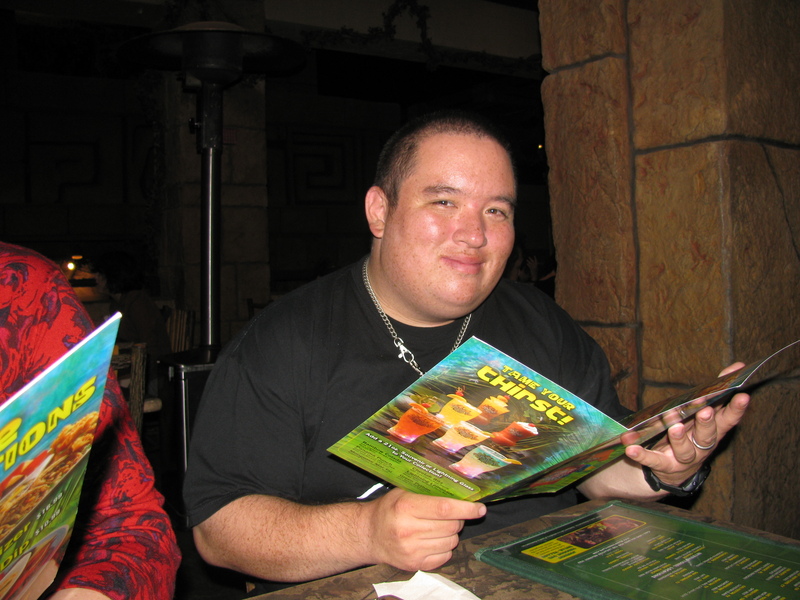 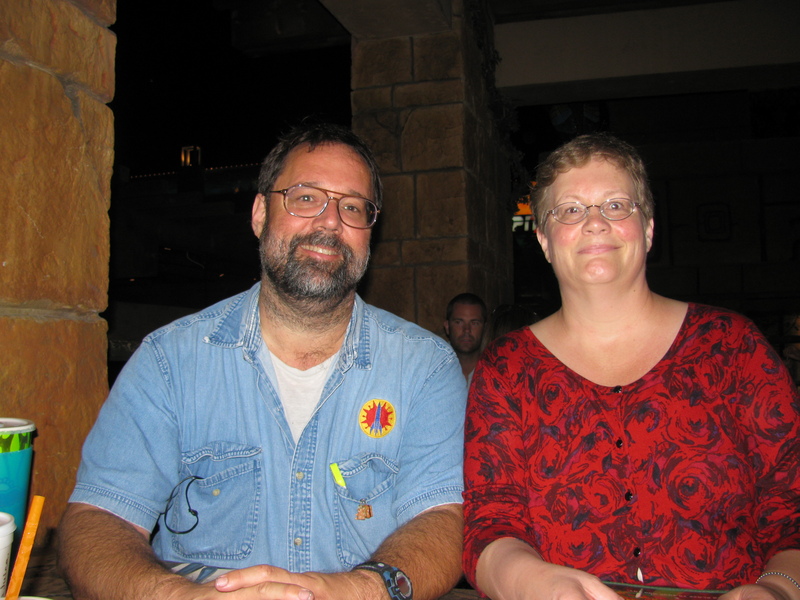 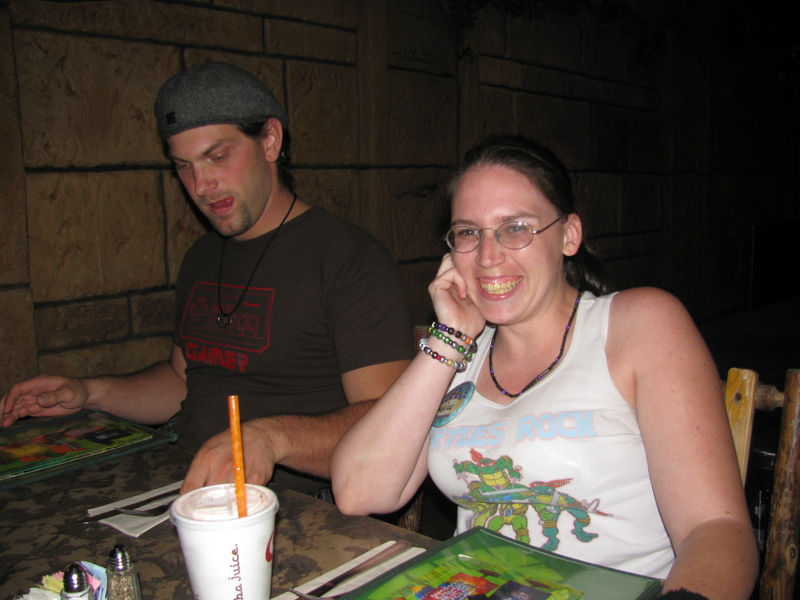 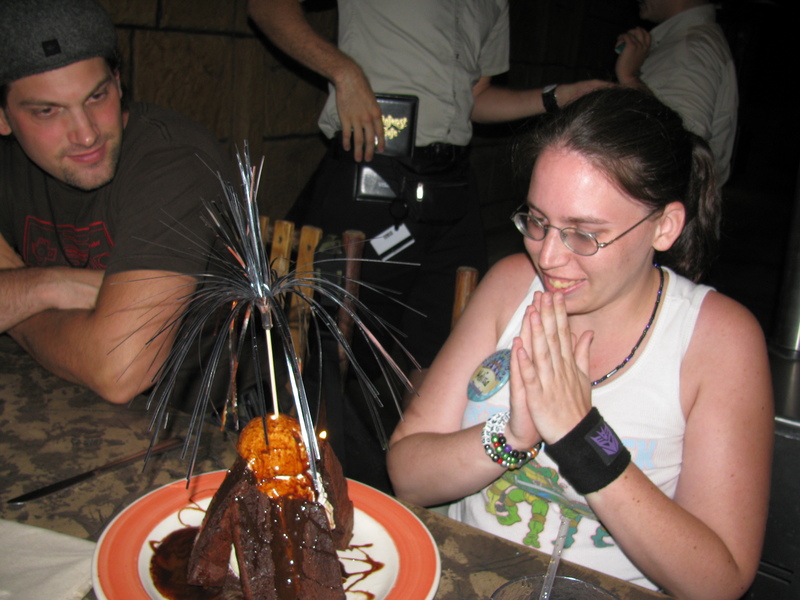 Chaz Boston Baden, Lynn Baden, at Rainforest Cafe (Downtown Disney). 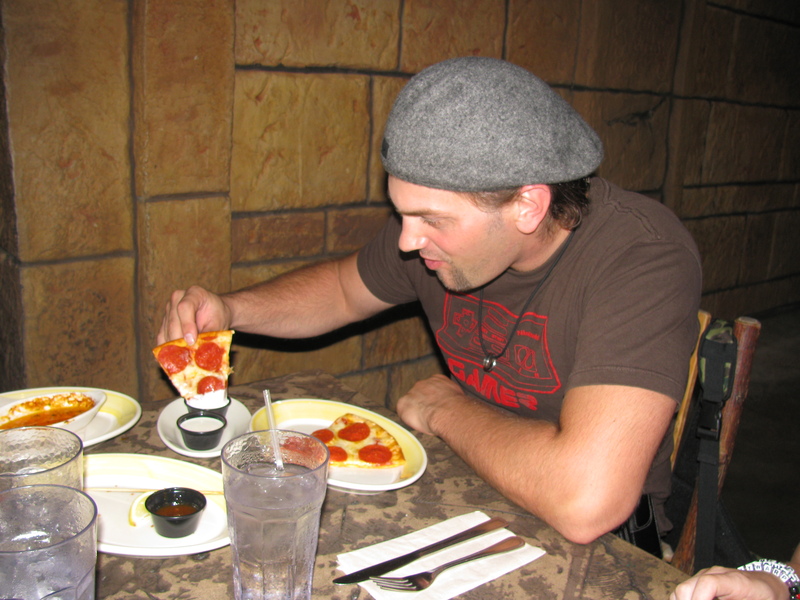 Someone dipping his pepperoni pizza in the ranch dressing. 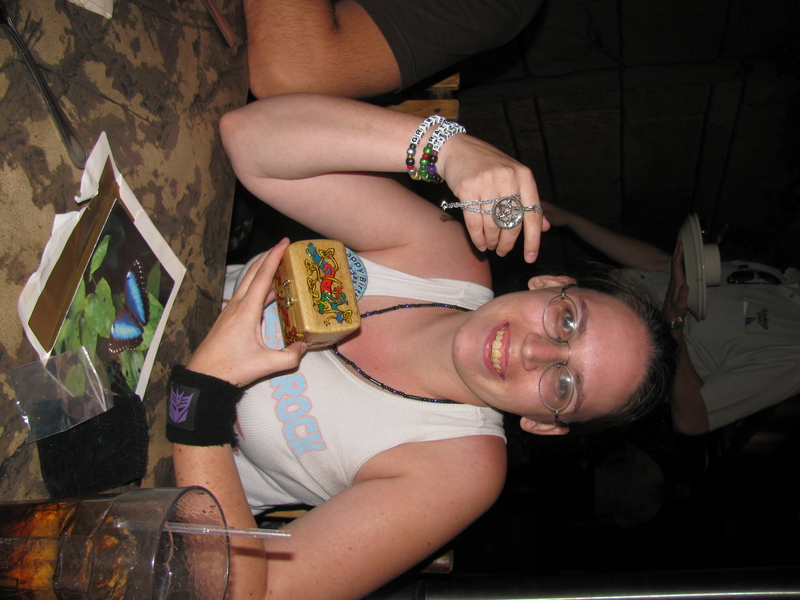 Melissa DeMello with a little wooden box we gave her, and a necklace. 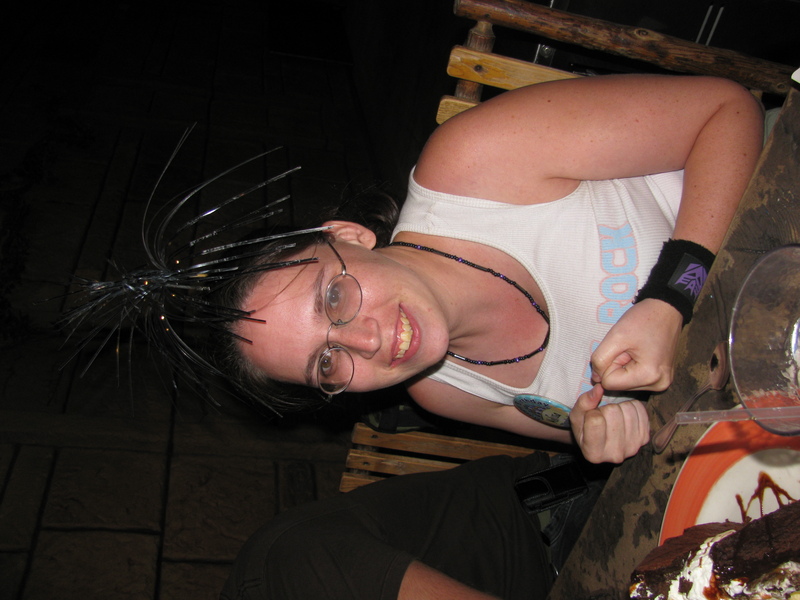 Melissa DeMello with shiny on her head.